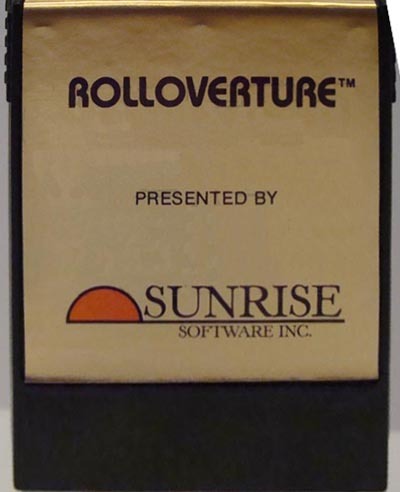 Rolloverture™ is a trademark of Sunrise Software, Inc. The hall is at a hush. The maestro takes the baton and readies the orchestra. But wait! 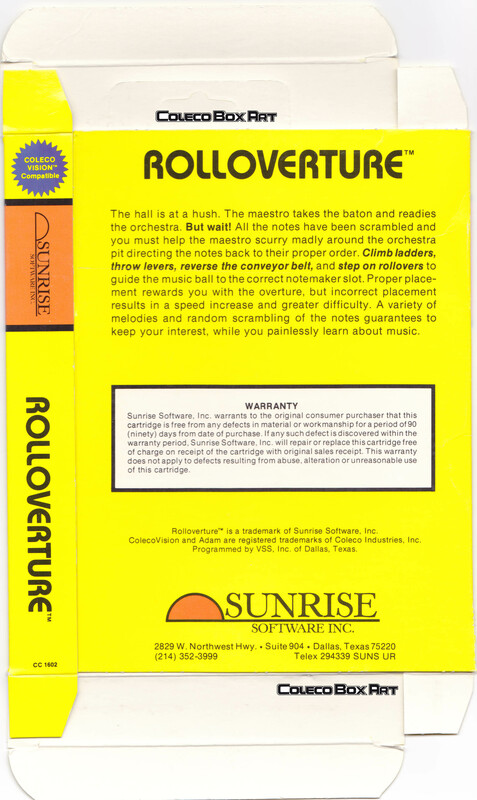 All the notes have been scrambled and you must help the maestro scurry madly around the orchestra pit directing the notes back to their proper order. 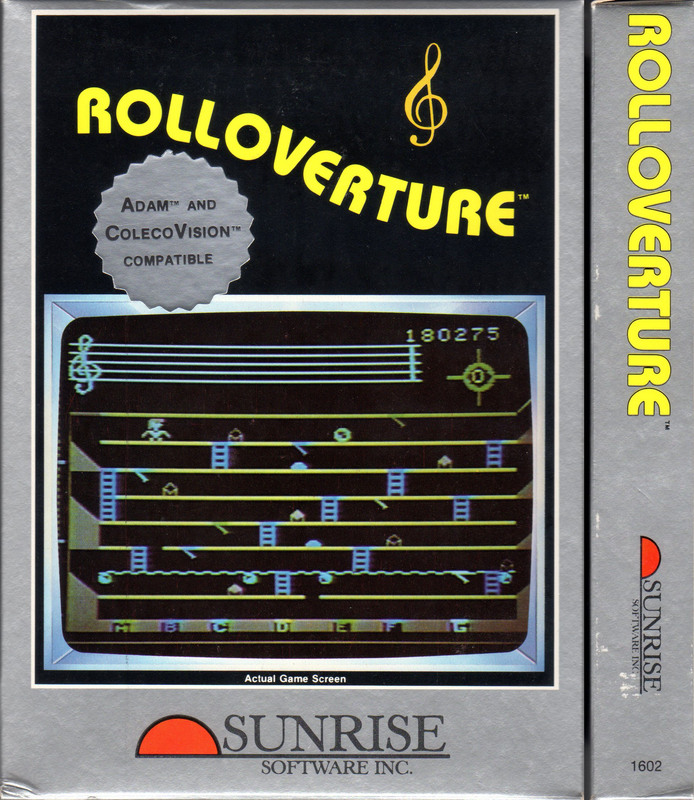 Climb ladders, throw levers, reverse the conveyor belt, and step on rollovers to guide the music ball to the correct notemaker slot. 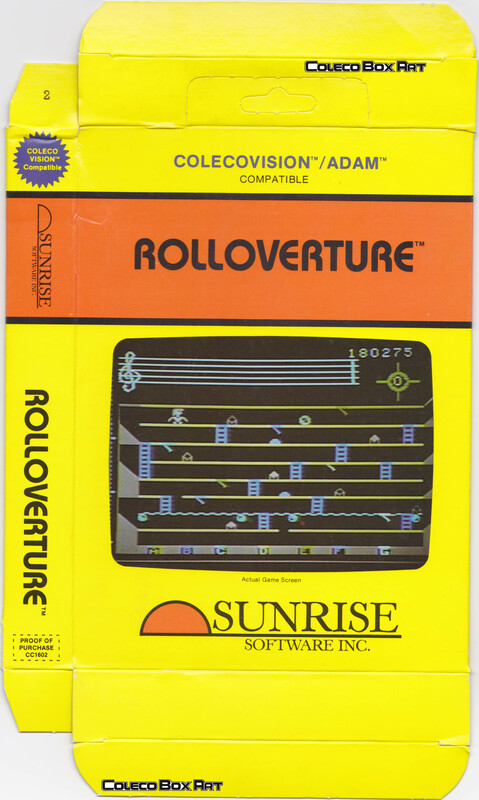 Proper placement rewards you with the overture, but incorrect placement results in a speed increase and greater difficulty. A variety of melodies and random scrambling of the notes guarantees to keep your interest, while you painlessly learn about music.